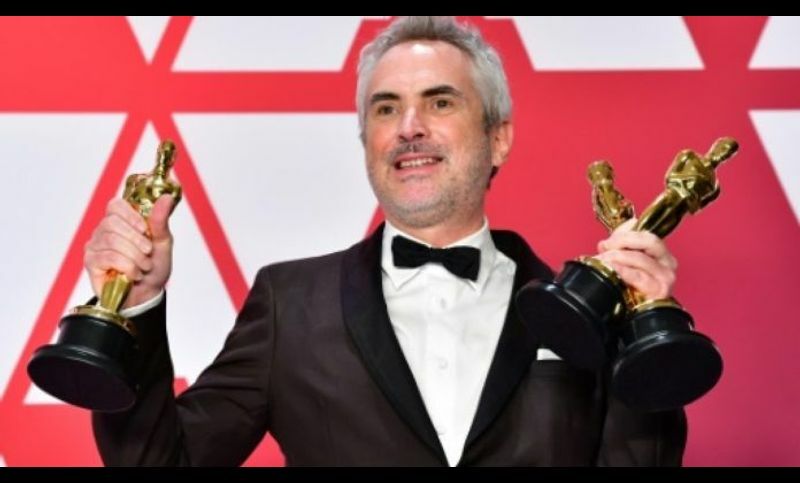 Alfonso Cuaron’s big Oscars night — three golden statuettes for his personal film “Roma,” including his second for best director — once again highlights the major success in Hollywood for Mexican filmmakers. This time, though, is a bit different. When Cuaron won the first time, it was for space epic “Gravity,” a mega-studio production with a budget of $100 million and mega-stars Sandra Bullock and George Clooney. It started with “Gravity,” which won seven Oscars in 2014, including best cinematography for Mexico’s Emmanuel Lubezki. The following year, Alejandro Gonzalez Inarritu triumphed with “Birdman,” which won four Oscars including best picture and best director. Amat Escalante, Carlos Reygadas and Michel Franco have made waves at the top film festivals in the world — Cannes, Berlin, and Venice. “If this inspires our audiences to have confidence in films made by Mexican filmmakers and if the state supports their efforts, we will have taken a major step forward,” says critic Carlos Bonfil.